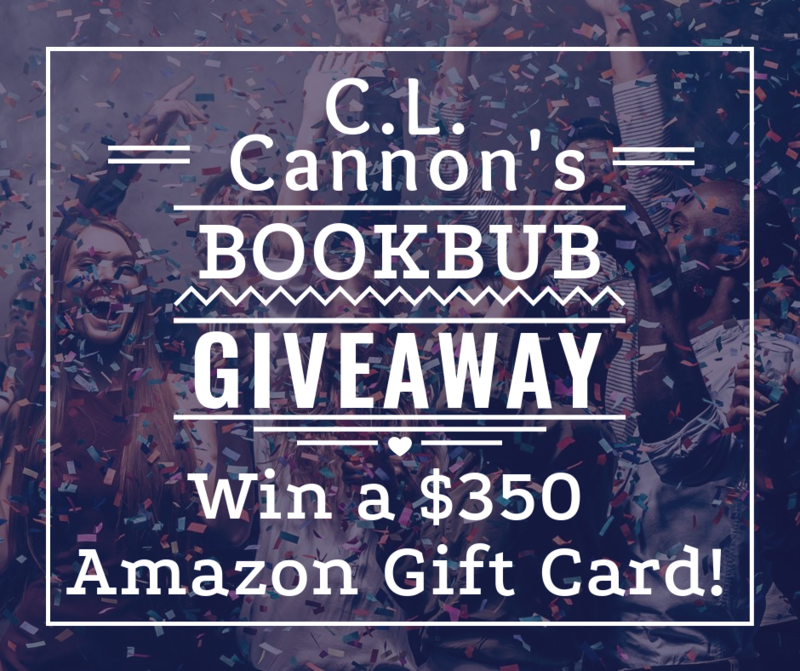 This entry was posted in Giveaways, Promotion and tagged amazon gift card, author, bookbub, C.L. Cannon, giveaway. Bookmark the permalink. What a great prize for a contest. I’ll just say, thanks for the chance and good luck to all who enter. I want to win this. I sure hope I get this. Thanks for the giveaway. Also, Very interested in reading some of your material! Your contests are absolutely AMAZING! Thank you so much! A great contest I entered. Shared. Thank you for the chance! Entered! Thanks for the chance and giveaway! Awesome giveaway!! Thanks so much! Very awesome giveaway! Thank you for the chance to win! What an awesome giveaway! Thank you for the chance! Awesome giveaway for to get to know alo t of new to me authors thanks for the chance!!! GREAT GIVEAWAY. I ENTERED AND SHARED.ON FACEBOOK. Great giveaway. Thank you for the chance. Awesome giveaway. This will help my book addiction. Thank you so much for the opportunity. I hope to win! Looks like I could get into this! What a great prize this is thanks. I entered thank you for the chance to win.